Poor MD: The Reflecting Zombie: My Zombie Book for Kids is Now Available! 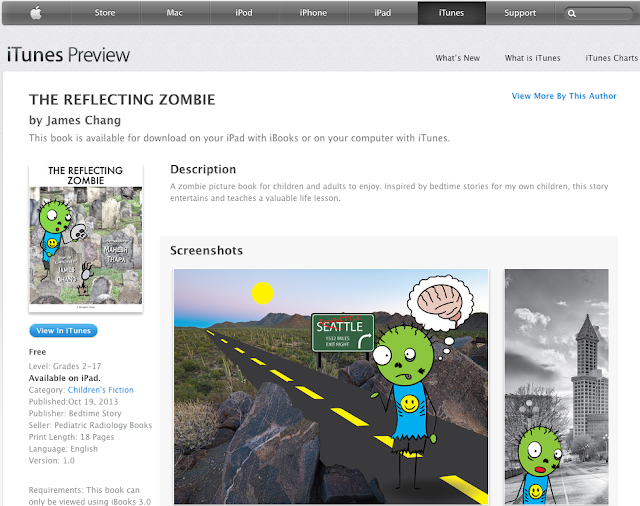 The Reflecting Zombie: My Zombie Book for Kids is Now Available! It's a zombie book for kids and it's free, so get it here for your iPad! Enjoy the 17 pages of fun. I created the story and illustrations with the help of my kids. The beautiful photographs are from my good friend, the starving photographer.